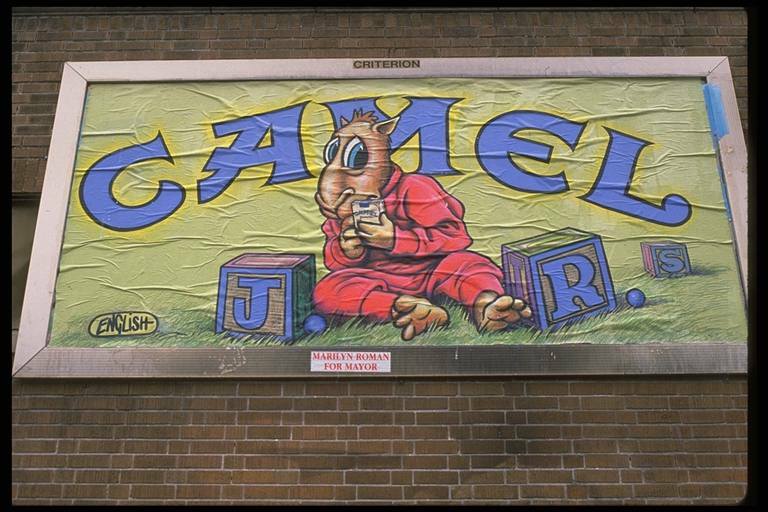 Ron English started out twenty years ago, before anyone knew what subvertising was, targeting billboards in Texas and pasting over them with parodies of corporate excess, war, and pop culture. He's been arrested more than a few times, including once in East Germany for decorating the Berlin Wall. More recently he has created giant posters crossing portraits of Barack Obama and Abraham Lincoln, as part of a grass roots campaign he lead to promote the presidential candidate. He now creates gallery-sized canvases too, a selection of which are being displayed in the UK for the first time this week at Elms Lester Painting Roomsin a show called Lazarus Rising. Could you tell us a bit about your new exhibition, and it's relation to resurrection? Is this a concept you believe in, spiritually? The underlying theme of Lazarus Rising is resurrection and the ongoing dialog between the living and the dead. It is also a study of the current spiritual and creative phoenix that is not only rising out of but also deeply rooted in the cultural ashes of our artistic ancestors in the mythical gold - and landmines lurking beneath society's surface. It is a concept I believe in, intellectually and spiritually. Just because you imagine something, doesn't mean it's not real. Why have you chosen to reinterpret Picasso's Guernica? I don't know if it's because I have a deep appreciation of Picasso or it's just the arrogance of the living, but I do have a very intense and sustained obsession with Picasso's Guernica. What's your favourite brand mascot or logo, and why? Probably Ronald McDonald. We are the same age and share the same first name. I also think it's odd that the mascot of this huge corporation is a clown. For me, Ronald is a kind of corporate franchise Christ. The Catholic church was the first franchise, with Jesus as its mascot. Ronald is the second coming. Do you still hijack billboards? Can we look forward to any in London? Yes, but I don't typically tell people when and where I am doing them. Your Abraham Obama poster is excellent - what do you think of him now he's been in for over 100 days? It feels good to have a smart president. What're you working on next? I have two museum shows coming up in the next couple of years. I will probably borrow about half the work for the shows and create new large-scale paintings for the other half. I'm also doing a series of installations in galleries in South Korea, China and the American Midwest. And I have some of the best toys I've ever made coming out this fall, along with t-shirt collabs with Planet Illogica and Hurley, and sneakers with Etnies.